VATICAN CITY (CNS) — New rules issued by Pope Benedict XVI for the governance of Catholic charities will not prevent such charities from accepting government funding, so long as the funding does not entail conditions that conflict with church teaching, said the second-highest official of the Vatican office in charge of applying the new legislation. Msgr. 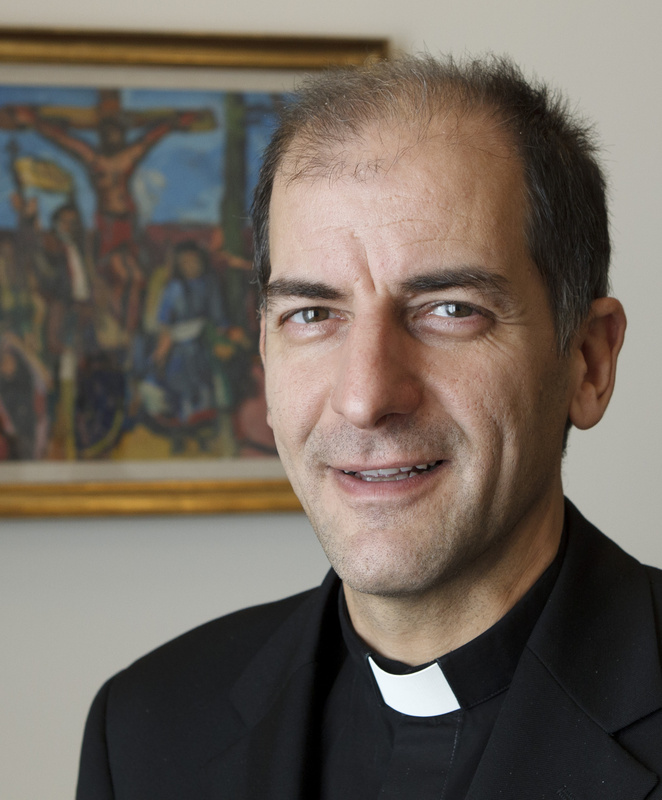 Giovanni Pietro Dal Toso, secretary of the Pontifical Council Cor Unum, spoke to Catholic News Service about the pope’s apostolic letter on the “service of charity,” issued “motu proprio” (on the pope’s “own initiative”) Nov. 11, and released by the Vatican Dec. 1. The document, which has the status of canon law, emphasizes that Catholic charitable activity must not become “just another form of organized social assistance,” and directs bishops to ensure that charitable agencies under their authority conform to church teaching. Commenting on this, Msgr. Dal Toso said that the rule would not necessarily prevent such agencies from taking money from national or local governments that fund, promote or permit practices condemned by the church, such as abortion or contraception. He said that the “theological and pastoral formation” that the motu proprio mandates for the staff of Catholic charities should ensure knowledge not only of relevant church teachings, but also of the distinctive approach and “anthropology” that the church brings to its charitable mission. The secretary named two U.S. agencies, Catholic Relief Services and Catholic Charities USA, that he said offer such instruction to their non-Catholic staff members. The pope’s apostolic letter is primarily concerned with laying out the responsibility of each bishop to oversee charitable agencies in his diocese, in order to reinforce such agencies’ Catholic identity, Msgr. Dal Toso said. “Catholic charity is an ecclesial activity, not merely a social activity, and that means the role of the bishop is important,” he said, noting that Pope Benedict expressed this idea in his 2005 encyclical “Deus Caritas Est,” and finally gave it legal force in the motu proprio. The responsibility for agencies that do not fall under the jurisdiction of a single bishop is determined by canon law cited in the papal document, he said. National bishops’ conferences oversee charitable agencies established under their authority, and the Vatican oversees international agencies established with its approval. What exactly does this mean?Currently here in the U.S. there are rumors going around on social media claiming there’s money in the federal reserve banks that is entitled to every living human being through our social security cards and birth certificates.And I would like to know the truth behind the rumors that are being exposed.